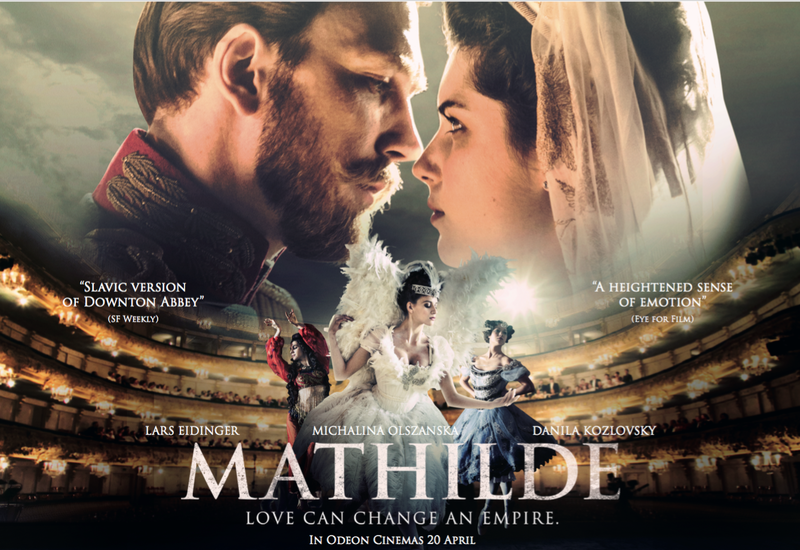 Perkon Productions, the organizer of the Russian Film Week and the Golden Unicorn Awards, is happy to announce the UK release of the film Mathilde. The film will be screened at Odeon Cinemas across Britain for three days only, from April 20 to 22, 2018. This sumptuous historical drama directed by Alexey Uchitel tells a fascinating story about the relationship between ballerina Mathilde Kshesinskaya and the future tsar Nicholas II. The film has received the Audience Choice Golden Unicorn Award at the Russian Film Week-2017. Some call it the most scandalous Russian film; some call it the most visually stunning Russian motion picture of 2017. The UK-wide release is meant to give the viewer an opportunity to decide for him- or herself. The film release is simultaneous in London, Edinburgh, Cardiff, Oxford, Manchester, Liverpool, Birmingham, Leeds and 15 other locations across Britain. Tickets can be obtained at participating Odeon cinemas or online – all information is available by following this link.